Studio(s): Universal Pictures, Will Packer Productions. 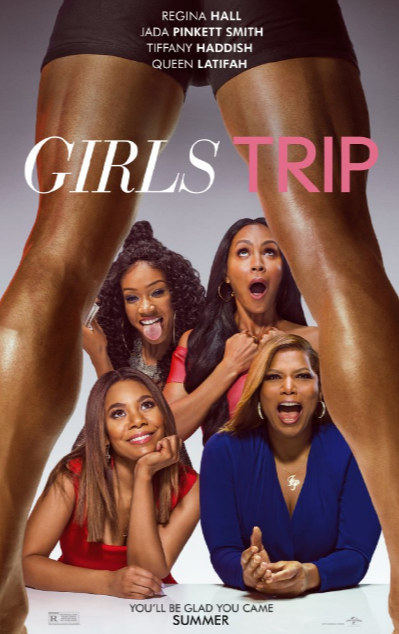 Cast: Jada Pinkett Smith, Queen Latifah, Regina Hall, Larenz Tate, Tiffany Haddish, Deborah Ayorinde, Kofi Siriboe. Story: When four lifelong friends travel to New Orleans for the annual Essence Festival, sisterhoods are rekindled, wild sides are rediscovered, and there’s enough dancing, drinking, brawling and romancing to make the Big Easy blush. Source: Shadow & Act. 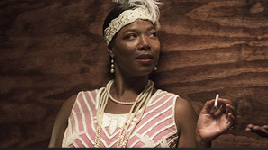 Cast: Queen Latifah (Bessie Smith), Michael K. Williams (Jack Gee), Tika Sumpter (Lucille), Khandi Alexander (Viola), Mike Epps (Richard), Mo’Nique (Ma Rainey), Charles S. Dutton (William “Pa” Rainey), Bryan Greenberg (John Hammond), Oliver Platt (Carl Van Vechten). Story: Film focuses on Smith’s transformation from a struggling young singer into “The Empress of the Blues,” who became one of the most successful recording artists of the 1920s and is an enduring icon today. Source: HBO. See Critics’ Connection for what the critics said about this film. Update: Shadow & Act reported on 2/24/15 that the film will offer an intimate look at the determined woman whose immense talent and love for music took her from anonymity in the rough-and-tumble world of vaudeville to the 1920s blues scene and international fame, capturing her professional highs and personal lows, and ultimate legend. On July 10th, Eurweb reported that HBO released a cast list and other details regarding its upcoming film Bessie. Co-stars include Michael K. Williams (Boardwalk Empire) as Bessie’s husband Jack; Khandi Alexander (Scandal) as Bessie’s big sister, Viola; Mike Epps as Richard, a bootlegger and romantic interest; Tika Sumpter (The Haves and Have Nots) as Lucille, a performer and romantic interest; Tory Kittles (True Detective) as Bessie’s older brother Clarence; Oliver Platt, as fame photographer and writer Carl Van Vechten; Charles Dutton as Ma Rainey’s husband, William “Pa” Rainey; and Oscar winner Mo’Nique as blues legend Ma Rainey. Written and directed by Dee Rees, the movie will focus on “Smith’s transformation from a struggling young singer into ‘Empress of the Blues’ and one of the most successful recording artists of the 1920s,” notes HBO in a statement. Source(s): Eurweb, HBO. 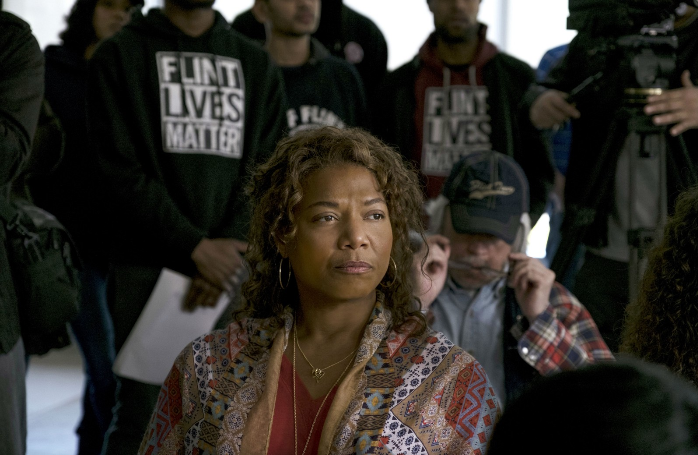 Details: Rapper, award winning actress, and talk show host Queen Latifah will star in and executive produce a biopic for HBO based on the life of iconic blues singer Bessie Smith. Known as the “Empress of the Blues” and considered the greatest blues singer of all time, Smith sang alongside Ma ‘Mother of the Blues’ Rainey at an early age. She later performed in minstrel shows and cabarets to become a successful singer and vaudevillian actress and eventually rose to become the most acclaimed and highly paid African American entertainer of the 1920s and ’30s. In spite of her many successes, Smith fought to overcome the challenges of a stormy personal life, including a tempestuous marriage and bisexual relationships. Her career took a hit due to alcoholism and the Great Depression, and as she was trying to make a comeback, she lost her life in a major car accident. It is rumored that production is set to begin this month (mid-June 2014) in Atlanta. (Sources: Moviepilot; Project Casting; Shadow and Act).